You’re bound to have questions about renting a dumpster, especially if you’re doing it for the first time. 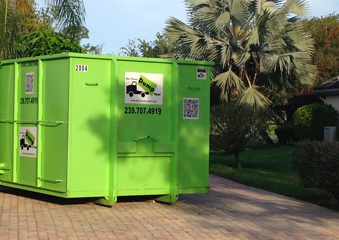 One of the top ones we get asked is what all is required to have a dumpster at your home. The answer to that depends on a few things. If you want to put the dumpster on your yard or driveway, you won’t need a permit. However, if you want the operator to leave it on the sidewalk, street or a public alley, you will need to apply for a permit with your city’s Public Works Department. When you want to put a roll-off dumpster in the public right-of-way, here’s what you’ll need to know about acquiring a permit. To legally do that, you’ll need to obtain a Public Works, Street Use, Minor Improvements Construction or Road Occupancy permit from your city. Depending on which one your city requires, these permits will allow you to place the dumpster rental in a public space. 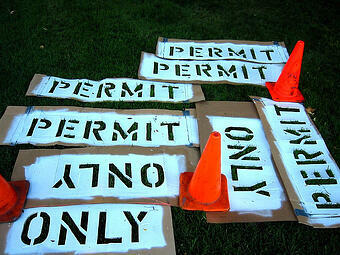 You can obtain a permit by visiting your city’s Public Works website and filling out an application. The form will require information like your name, address, a sketch of where the dumpster will go, project details and if it’s possible to have the dumpster on the property. Each city will have its own costs and turnaround time on the permit, so make sure you apply early. In Hamilton, Ontario — for example — the processing time for a Road Occupancy permit is a minimum of five days, and it’s subject to a $50 fee if approved. 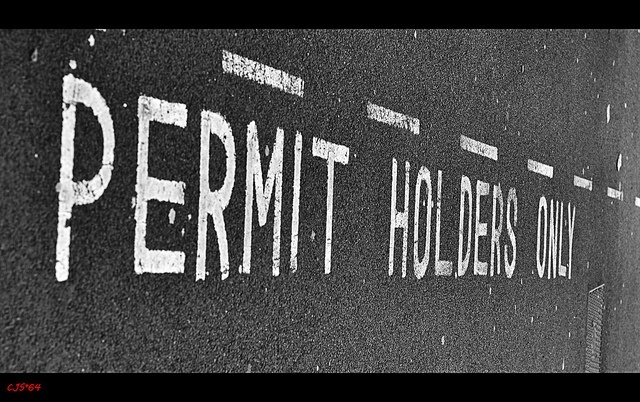 What If You Don’t Get A Permit? Anytime you place a dumpster on public property, you’ll need to acquire a permit. If you don’t, you could face tickets or monetary fines, depending on your city’s rules. The city might also impound the dumpster if you don’t have a permit. City officials can become aware of the issue if a concerned neighbor or bystander contacts the authorities about the dumpster. You will then need to produce your permit or face a penalty. If you don’t pay the fine, you may also face jail time. No matter if you’re a contractor or homeowner, you will need to get a permit to put the bin on the street. In addition to filling out the application form, if you’re a contractor, you will also need to provide proof of worker’s compensation and liability insurance certificate naming the city as an additional insured endorsement (in some cities). Check with your municipality to see what is required. Each city has different regulations about how long you can leave the dumpster in the public space, so you’ll need to see what rules you have locally. If there’s any damage to the street, curb or sidewalk, you will need to repair or pay for the damage. You don’t want to get stuck with that bill, so talk with your local Bin There Dump That franchise about their insurance coverage. The operator will even place boards under the bin to protect the street, or wherever you put the dumpster.